This review article will talk about the Best Ladies Cycle in India along with their pricing details. I have made a list of Top 10 bicycles that the Indian women would love to ride. These cycles have been shortlisted basis their features, build quality and Price. 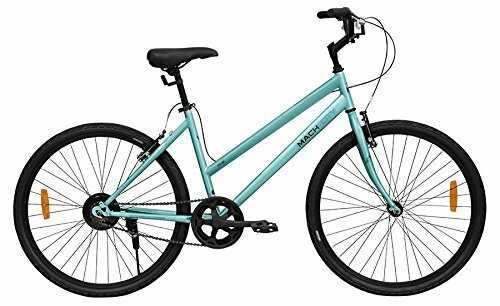 The overall winner of my reviews was the Mach City iBike 7 Gear bicycle for Women. It is attractively priced around Rs. 10,000 mark and is not very expensive if you look at the overall build quality and the features it offers. Alternately, you can also consider this great option by Decathlon. This bicycle is available in two sizes. You can easily find out which one works best for you by clicking on the “Find your Size” button next to the dropdown menu where you select the bike size. 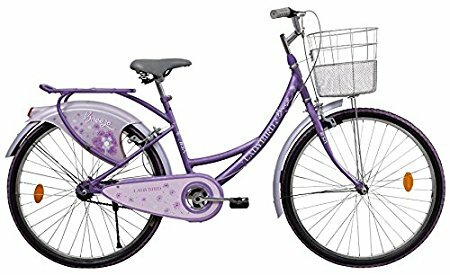 Note – If you are looking for a bicycle for girl child, visit the article on Best Bicycle for Girls in India. Read on, if you are looking for an Adult bicycle. I will now proceed with a detailed review. Mach City is a brand owned by BSA. They have been producing amazing commuter bicycle for daily usage. The key highlight of their bikes is that even though they are well built, they are not very expensive. They also have multiple models to suit various requirements of their customers. Even with their iBike W, they have a 7-speed model as well as a cheaper model without any gears. This bicycle also features in my list of best cycles in India. 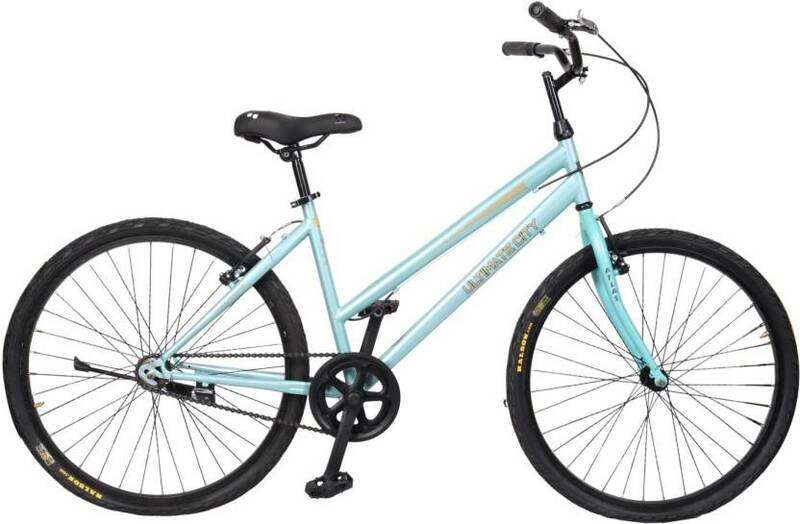 If you have some experience riding bicycles and looking for a good bicycle to commute, Schwinn super sport 3 would be the right choice for you. This bicycle has bigger 29 Inch tyres and is built for speed and comfort. 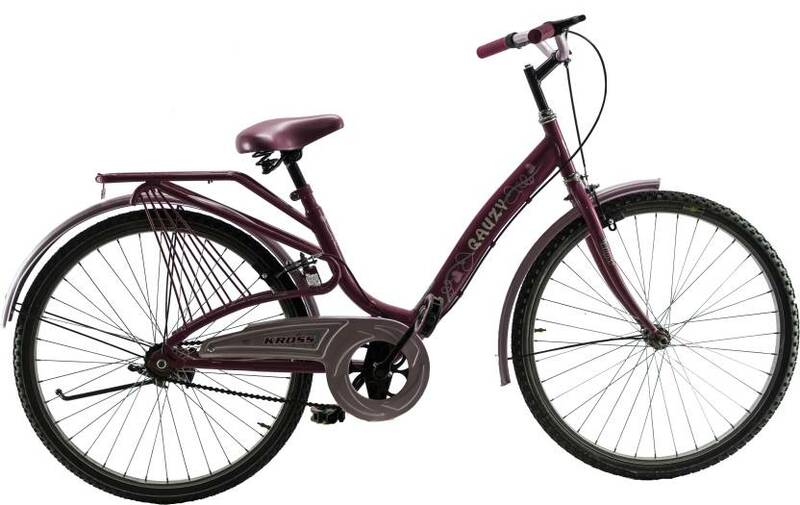 The bicycle also looks are classy with a black and purple colour combination. 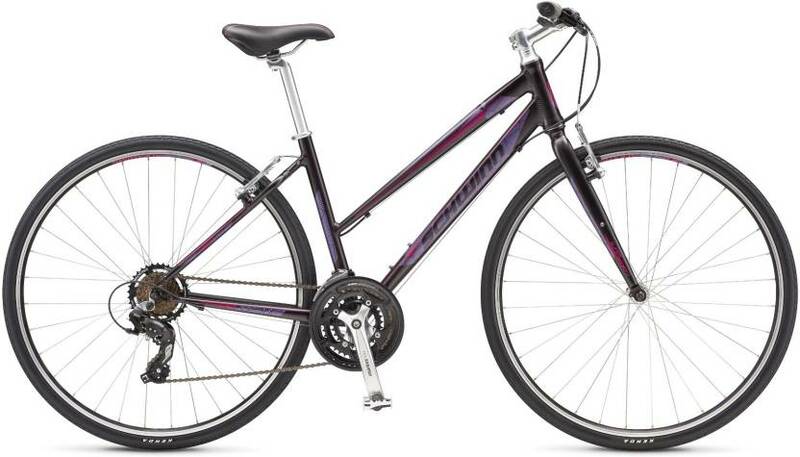 This is also one of the best gear cycles for ladies in India. 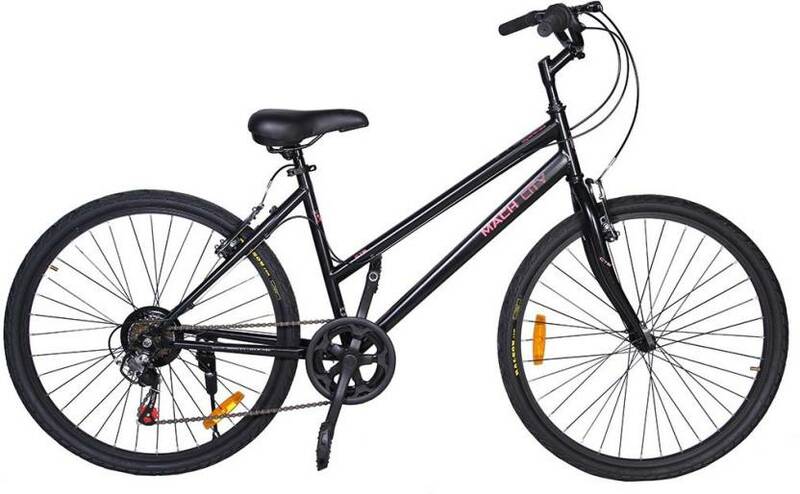 The bicycle is priced at around 15000 Rs. 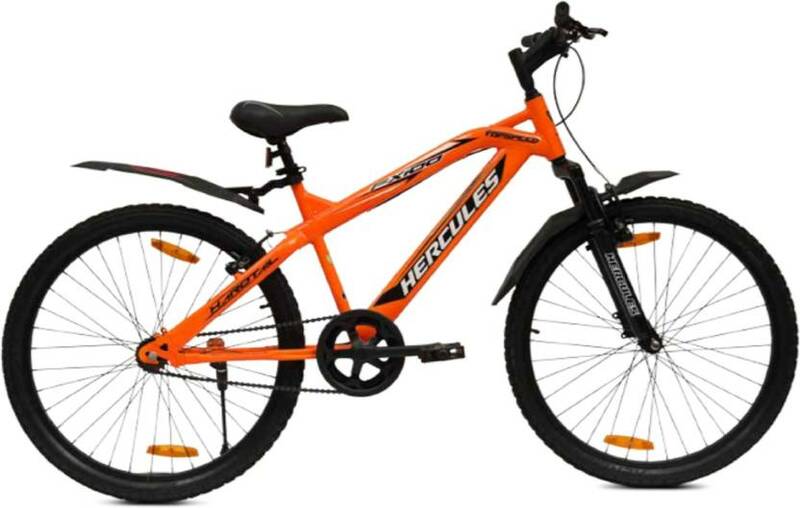 on Flipkart (At the time of writing this review – Click the link above for exact price) – The component used on the bicycle justify the price tag. The bicycle is made using lightweight Aluminium alloy frame. The also makes the frame rust resistant. The tyres used are 29 Inch Kenda K-193, 700x32c. Rims used on the bicycle are made using double walled alloy. The manufacturer offers a limited lifetime warranty for Frame, 5 Years for Fork, 3-Months for Chain, Saddle and Grip, 6-Months for Handlebar Seatpost and Stem. 1 Year for Tyres, Wheelset and Drivetrain Groupset (Crank, Cassette, Bottom Bracket). A good looking and sturdy bicycle from the brand Huffy. The bicycle is good for daily usage. 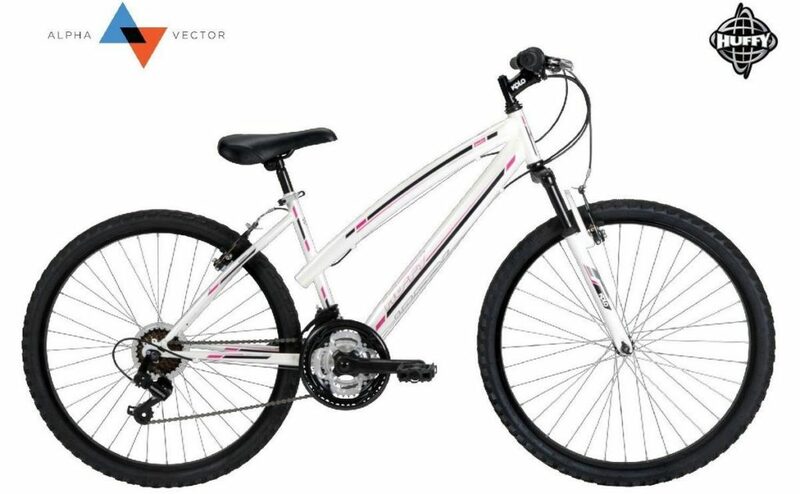 This is a mountain bike with 21 gears (One of the few mountain bikes available for women in India). You can easily use for your daily commute or ride around your house/park. 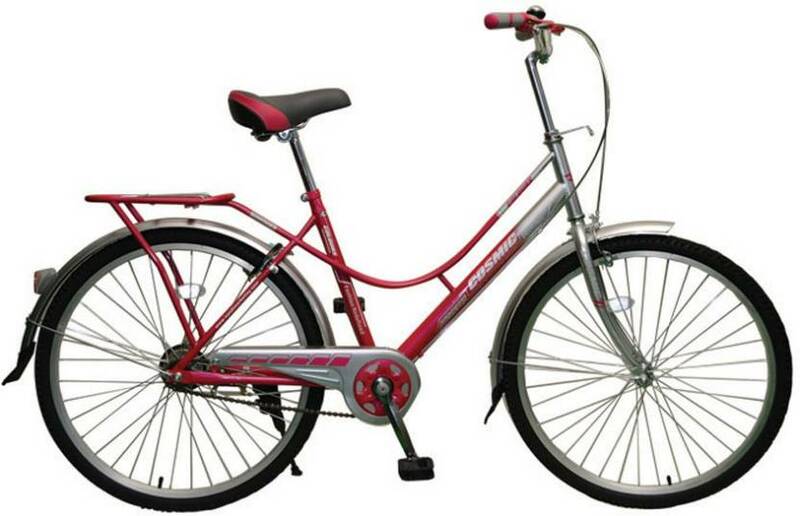 BSA Ladybird is one of the most popular and best-selling ladies bicycle brand in India. When it was launched, there was only one model which was available in different colours. Now, we have a plethora of LadyBird models available to choose from. The frame of the bicycle is made using steel. Simple and efficient is how I will define the Atlas Ultimate City Diva cycle for ladies. The sky blue colour looks really cool and classy. There are no over the top graphics on the bike and looks very minimalistic. The ride quality is good as well. The handlebars are raised and provide you with a good & comfortable riding posture. You will need to install mudguards if you plan to ride it daily to commute. The bicycle was priced between 7 to 8 thousand rupees at the time of writing this article. Use the link below to check the latest price online. Tyre size is 26 Inches (Ralson Tyres). Rims are made using aluminium alloy. This is the second MTB in my list of Best Ladies Cycle in India after Huffy Savoy. Actually, both these bicycles can be classified as unisex cycles too. The bicycle is bright orange in colour. It will surely get you noticed anywhere you go with its bold look. It comes with mudflaps and has a front suspension. This is by far the most traditional looking bicycle in the list. The top bar of the frame is really low and should help women who are still trying to learn to ride. The features of this bicycle are the same as the one above, hence I will not list them down again. You can visit Flipkart using the link above for more details about the model. 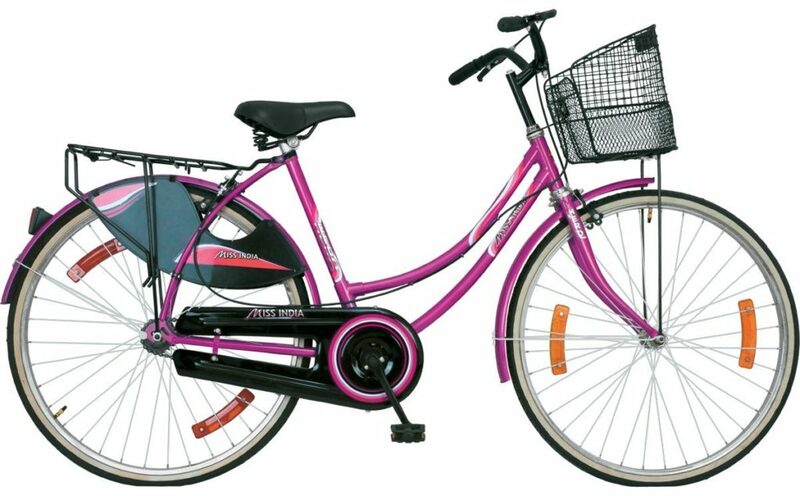 This is a bright coloured cycle for young women. 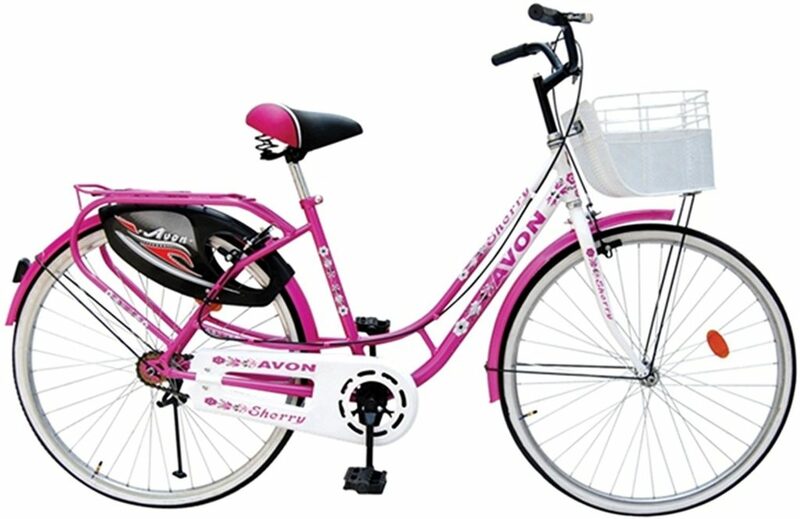 This bicycle from Avon competes with the likes of Ladybird and Hero Miss India range of cycles. The colours and features of all three bicycle range are similar. Miss India is a range of bicycles by Hero to compete with BSA’s LadyBird. As said above, the features of the bicycle very close match that of Ladybird. They also offer a handlebar basket, chain cover, carrier and saree cover on most of their models. This bicycle has a good mixture of traditional elements like the mudguard shape and modern elements like the colour, graphics and the shape of the frame. The bicycle is comfortable to ride with its bird shaped handlebars and low seat position. The non-existent top bar on the frame makes it easy to ride wearing skirts or a saree. This is a single speed bicycle with 26-inch regular tyres. This brings me an end to this review on the Best Ladies Cycle in India with gears. Do let me know your thoughts on my choices in the comments below. Which one did you like? Do share you purchase and product experience with fellow cyclists.